Marko Grujic has endured an injury-stricken first season at Liverpool but remains in a good position to make a name for himself at Anfield according to the player’s agent. Pre-season saw the Serbian show glimpses of the physical and technical attributes many feel will help him become a valuable box-to-box midfielder. He has since spent prolonged periods on the sidelines, though, being restricted to only eight appearances for the senior team so far this campaign. His representative Zoran Stojadinovic believes the 21-year-old will feature more regularly next season and get the chance to prove what he can offer. 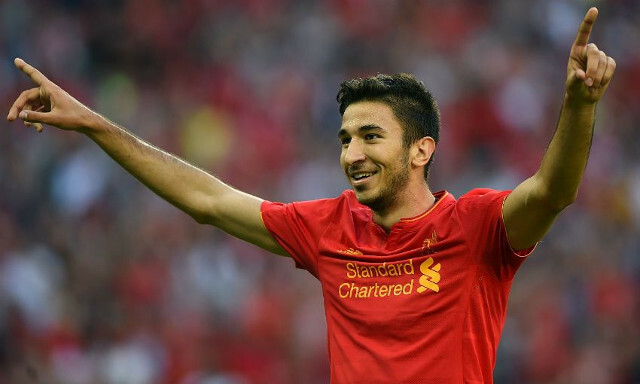 “There is mutual trust, Klopp values Grujic and expects him to be part of the team next season,” he told Hotspot. Liverpool’s refusal to send Grujic out on loan for a second time, following his initial spell with Red Star Belgrade, goes someway towards recognising how highly the club regards him. He has looked a dominant force in the games he has played for the U23s this year and equipped to make an impact in a division as physically demanding as the Premier League. The possibility of Liverpool playing European football next season makes Grujic’s presence all the more important in terms of how vital strength in depth will be. Reds can expect to see a lot more from him as time goes by.